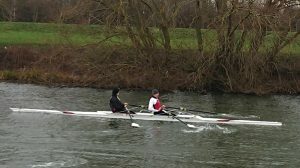 Stratford upon Avon Boat Club and their sister club King Edward VI School, commenced their 2019 competitive racing year with a series of head races at Northampton on Saturday. 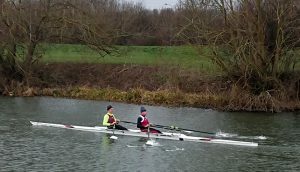 The event extremely well hosted by Northampton Rowing Club and raced upstream on the River Nene in cold but unusually dry conditions, giving all a good chance to work off any remaining post Christmas indulgences. 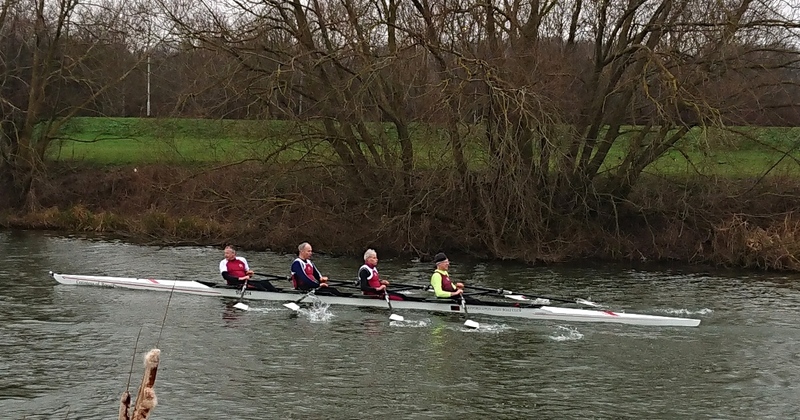 Northampton Head of the Nene was divided into four divisions with individual events competed over all divisions during the day. This also gave the majority of competitors the chance to enter several events. The course, being reasonably straight and only 1800 metres long, attracts beginners’ crews and those seeking to expand their racing experience for tougher tests later in the year and as such both Stratford and King Edward VI School brought a number of novice crews seeking their first experience of competitive racing. Milton Keynes men’s crew. 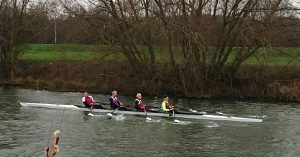 Later in the day Stratford’s second crew of Gary Clay, Wallace Brown, Neville Hand and Tom Doherty put in an improved effort to record a time of 5 mins 56 sec to earn a very creditable second place to a high quality crew from Hollowell Scullers. Stratford Men’s Masters were in action again later in the day with Gary Clay and Neville Hand in the double sculls event against crews from Oundle and Cantabrian boat clubs and were able to record a well deserved victory recording a creditable time of 7.05 seconds. 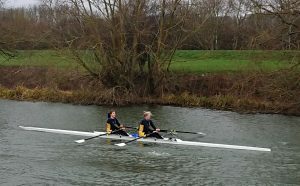 Perhaps the most eagerly anticipated event for Stratford was the debut of their new Women’s Masters crew of Naomi Knowles, Ruth “Kings Heath” Poulton, Dee Wevill, and Heather Hayton. 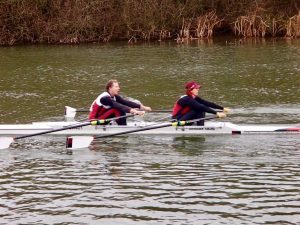 This crew which had been training hard over the previous autumn were racing in a quad coxless sculling race requiring good race management and steering ability. Racing more experience opponents from Oundle Rowing Club, the crew put in an excellent performance finishing just under six seconds behind the winners in a time of 7mins and 29 seconds. It was then the turn of the small boats crews next with a Mixed Masters all Stratford showdown between Helen Helliwell and Hugo Happel taking on the more experienced crew of Christine Goodwin and Tim Lunel. 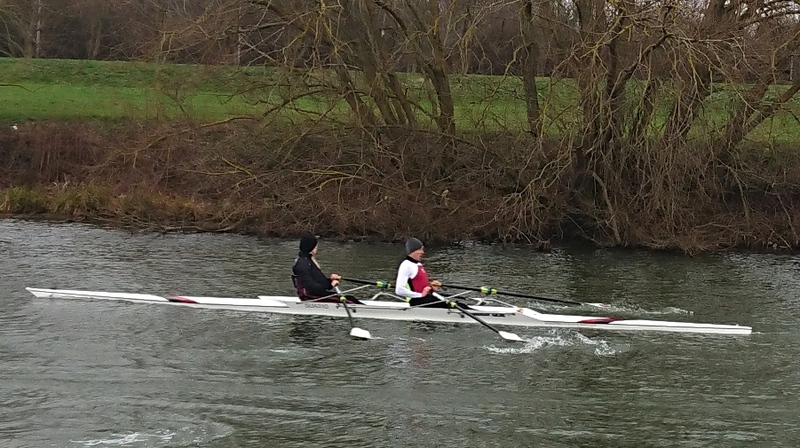 A very competent performance by Helen and Hugo in their first race saw them post a creditable time of 8 mins and 17 secs but it was not sadly enough to beat the experience of Christine and Tim. 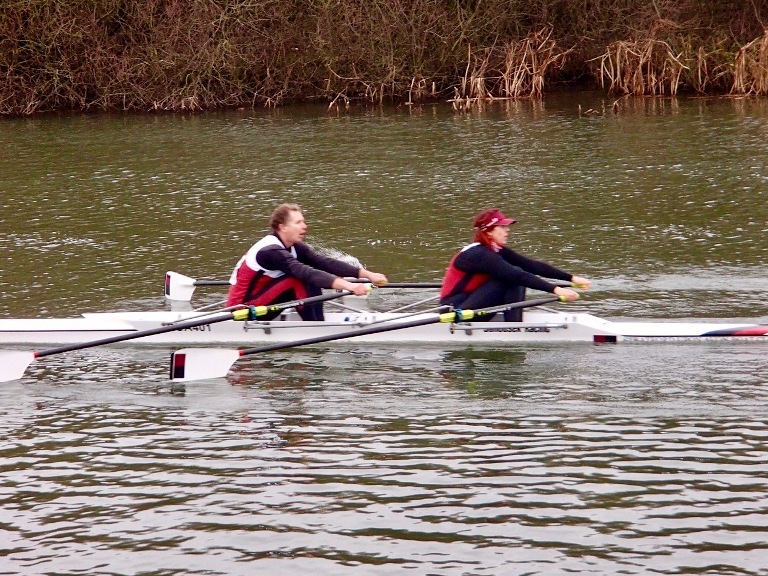 Kjersti Woolly in addition to her Men’s quad race earlier in the day raced for Derwent Rowing Club recording a win in their Mixed Masters quad four and a good performance in their Women’s Masters coxed four. This left the small boat racers of Gina Fusco and Tim Lunel competing in single sculls. 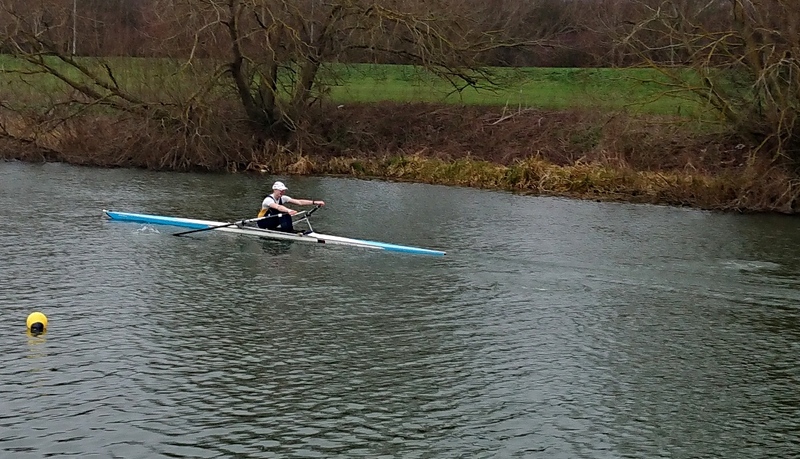 Gina who is in her first season of competitive racing recorded two very good times of 8 mins 34 secs, and 8 mins 48 secs displaying some very consistent sculling and is sure to be closing on her first competitive win. 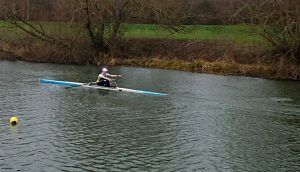 Tim Lunel competing in his third event of the day in Masters single sculls was unable to match his success in the double but put in a good solid performance. 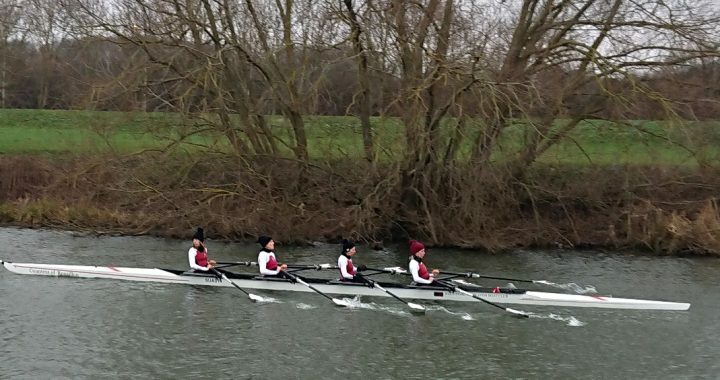 George, Adam, Felix, Sam and Emerald raced 4+ in Division 1 making the bronze medal position whilst the girls crew of Lara, Ellie, Maddie, Gina and Leah also came first in their event. Division 3 saw the other boys’ 4+ of Joe, Cameron, Fred, Felix and Emerald also achieve gold whilst being the fastest coxed four of the day. 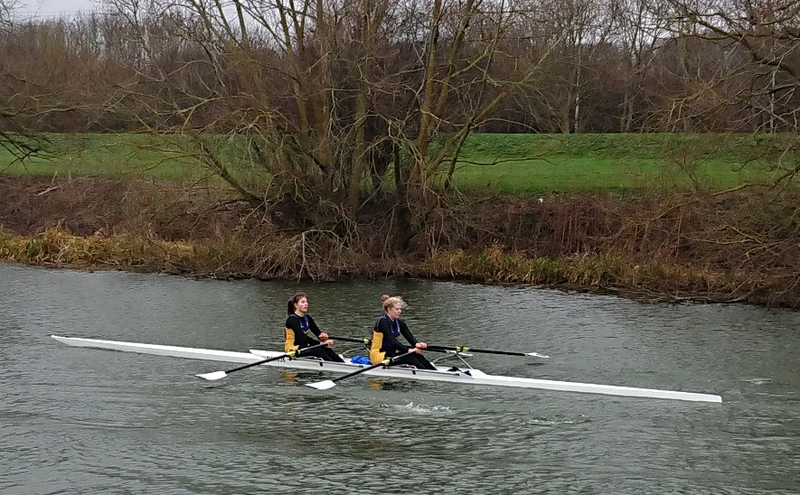 The 2x crew of Jess and Talei also achieved two golds for the squad in the J17 girls’ and women’s’ doubles over two divisions. For official photographs of Northampton Head of the Nene, photos can now be found online at: https://photocall.instaproofs.com/gallery/#events/1642506. To view the gallery, use your own email address with nene as the password. The results are available at: https://northamptonrc.org.uk/head/head.aspx.